He always arrived late, many times after most of the food had been served. He wore his curly hair and beard long, and though it was clear he did his best to tame it, his hair resisted his efforts. He spent his days at the public library, and though he had a place to stay, he spent a fair amount of time on the streets. To passersby, he seemed odd, maladjusted, and maybe a little… off. He was unemployed; and listening to his stories, considered by many to be unemployable. Outside of the biweekly meals offered at Takin’ it to the Streets, a homeless ministry in the Omaha Metro, I’m not sure how he survived. I suspect he received disability or some sort of state assistance. Although he had a sister, I’m not sure if he ever saw her, or if he had any other family to speak of. I’m not sure if he even had friends, at least, relationships you or I would deem as friendships. To most, his situation probably seemed hopeless. I imagine, if I were in his shoes, I’d slip into a pit of despair. Or bitterness. But I sat beside him, listening to him talk about his Savior, I was awed and humbled by the praise that poured fourth—a praise rooted in purpose. For you see, this man, this child of God, knew he was here for a reason and that God had a crucial, eternal task assigned specifically to him. He knew God was in control, even when the world seemed chaotic and hopeless. With his faith and identity so rooted in Christ, he was able to rise above his circumstances, using every moment and every encounter to share God’s goodness and truth. He told the angry, homeless woman pushing a rusted cart that God loved her. He shared candy others had given him with those less fortunate, and yes, though he had so very little, he did notice those who were less fortunate than he was. Because that’s what happens when we take our eyes off of ourselves and our problems and place them on our Savior—everything becomes just a little brighter, just a little more hopeful, and a great deal more eternal. As I listened to him share about these people he had touched, witnessed to, prayed with and for, I realized just how beautiful this thing called grace is. Because of God’s grace, we each have a purpose—a divinely-ordained and eternal task assigned to us. More than that, we are each lovingly crafted to perform that work which God assigned to us long before He even breathed life into our frail lungs. But looking around at the hardened faces all around us, a second realization came just as quickly. We can all lose sight of our purpose. We can become so focused on our problems and the chaos around us, we can be consumed with anger and bitterness. The choice is ours, and it is ours to make each and every day. Which way of life will you choose? 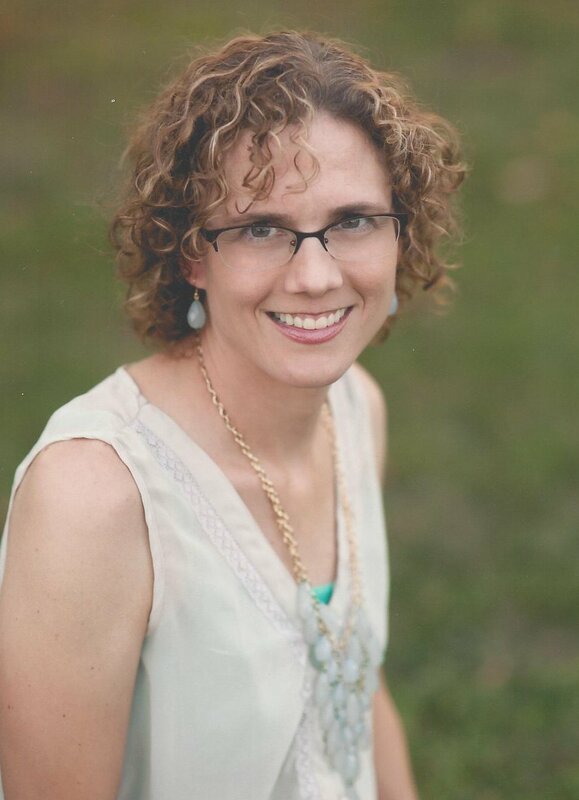 Jennifer Slattery writes Missional Romance for New Hope Publishers, a publishing house passionate about bringing God’s healing grace and truth to the hopeless. She also writes for Christ to the World Ministries, Crosswalk.com, and Internet Café Devotions. Marriage . . . it’s more than a happily ever after. Eternally more. Ainsley Meadow’s encounter with a woman, her child, and their abuser sparks a passion that threatens her engagement. Will seeing beyond the present unite her and her fiancé or tear them apart? Raised by a hedonist mother, who cycles through jobs and relationships like wrapping paper on Christmas morning, Ainsley falls into a predictable and safe relationship with Richard, a self-absorbed socialite psychiatrist. But as her wedding nears, a battered woman and her child spark a long-forgotten dream and ignites a hidden passion. One that threatens to change everything, including her fiancé. To embrace God’s best and find true love, this security-seeking bride must follow God with reckless abandon and realize that marriage goes Beyond I Do.